I’ve always been fascinated by teachers, professors and professionals who are able to deliver a presentation and rock the stage like a musician. Especially those who experience repeated success and can consistently deliver great presentations time after time again. In music, I think of Freddy Mercury and Michael Jackson. In business, I think of Steve Jobs and Seth Godin. In life, I think of Martin Luther King and Barack Obama. We all have our own examples of super successful people like these who we admire. As someone who has been doing public speaking for the last few years, these are the folks I’ve spent hours and hours studying. But how do they do it? Over the years I’ve looked closely at these folks deliver TED talks, concerts, state of unions and unforgettable speeches. I’ve read some of their books and memoirs watched their interviews, researched them online and read their biographies. From there, I learned that none of them were born as great speakers, artists and presenters, they simply focused on their audience and their message. Here are six things they do differently that the rest of us can easily emulate. Albert Einstein once said, “If you can’t explain it to a six year old, you don’t understand it yourself.” Nothing could be closer to the truth as it relates to delivering a message to an audience. The human brain is built up of two sides, one side is filled with the ability to break down figures and be analytical while the other is filled with our primal instincts of fight and flight. Unfortunately, when you’re on the receiving end of a presentation you’re initially using your primal instincts for making decisions and choices. Thus, as a presenter, you need to keep things simple and easy to understand. Complication and confusion are one of the biggest killers of interesting and valuable data. We live in a world where information moves at the speed of light and we are met with data on a regular basis. In meetings, on the news, on blogs, tweets and in daily conversations we are constantly met with complex topics that require deep analysis to decipher and understand. This is where our logical brain comes up to bat as we have time on our side to sit down and deconstruct the various pieces of info. In a presentation, the number of points must be limited. Several business and marketing studies have shown that the more product choices a consumer is faced with, the less products they typically purchase. The same thinking can be applied to a presentation. The more insights, stats, facts and stories you put in front of your audience, the less of an impact your presentation will have on them. After all, narrowing down the best insights from a pool of four is certainly a lot easier than narrowing down the best concepts from a pool of twenty. If the story you’re delivering and message is filled with complex ideas and theories, most people will just give up. The solution is to simplify. While it’s great to look at others to study their habits and delivery, you should never aim to present like Seth Godin. Instead, you should embrace your own personality and let that shine through your words and message on stage. Between Purple Cow and Linchpin, Seth Godin was able to craft a brand for himself by creating new concepts and delivering them in a way that reflects his personality. As another example, Michael Jackson introduced the world to a new wave of new dance moves that had never been seen before. His fashion, his voice, his dance moves and his ideas for the world; were distinct to his personality and now, his legacy. The great presenters don’t duplicate concepts from others, they create them and share their own thoughts. Judy Garland once said, “Always be a first rate version of yourself instead of a second rate version of somebody else.” Take this statement and live by it when you are on the stage. If you aren’t being yourself, you aren’t going to be comfortable on stage – you’re merely replicating someone else. And remember, people will never pay an impersonator as much as an original. It’s easy to be comfortable when you deliver a presentation if you do what everyone expects you to do. It’s easy to deliver a presentation if you provide your audience with a presentation that they could expect from anyone. It’s not easy to deliver a presentation that goes against the norm and surprises people with something special. Embracing the idea of being uncomfortable is not only a great business lesson you should think about but it’s also a lesson you should consider when delivering a presentation. You can’t grow as a presenter if you create safe boundaries that allow you to be placed into a comfort zone. You need to take risks and differentiate yourself from other presenters. No matter how long you practice your presentation you need to be brave enough to play off the crowd. Recognize when opportunities exist to slightly change your material or introduce a new concept. Watch your audiences reactions and try to gauge the feelings and emotions that you’ve set in the room. From there, act on your gut and instinct. Take chances with jokes when appropriate and inject improv when you can tell the audience isn’t grasping a specific topics. It’s going to be uncomfortable at first but it can be worth it. On the afternoon of Wednesday, August 28, 1963, Dr. Martin Luther King delivered one of the most popular speeches in history. The speech, delivered to over 250,000 civil rights supporters from the steps of the Lincoln Memorial during the March on Washington for Jobs and Freedom, was a defining moment of the American Civil Rights Movement. There are many concepts and tips that can be taken from the delivery of the now famous, “I have a Dream Speech.” The speech has no single version draft, as it is an amalgamation of several drafts, and was originally called “Normalcy, Never Again.” The general focus on “I have a dream,” comes through the speech’s delivery. You see, toward the end of its delivery, gospel singer Mahalia Jackson shouted to Dr. King from the crowd, “Tell them about the dream, Martin.” Dr. King stopped delivering his prepared speech and started “preaching”, punctuating his points with “I have a dream.” He took a chance doing something unrehearsed and as a result he shared with the world four words that would be forever immortalized. When you deliver a story in your presentation it can be idea centric, brand centric, testimonial base or even a personal one. 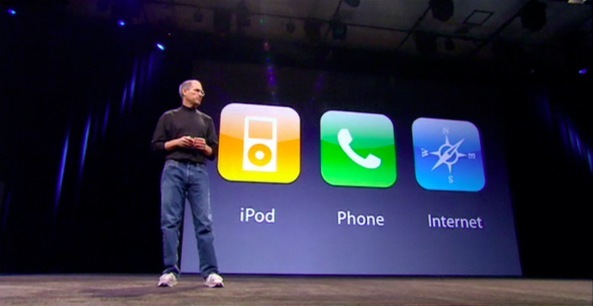 As a great storyteller, Steve Jobs once told a story on the spot as his clicker to switch the slides stopped working. Instead of freezing, he told the crowd a story about how he and Wozniak used to pull pranks on students at Wozniak’s college. The story brought a layer of humility to the keynote, the problem was fixed, and Jobs effortlessly moved along to deliver his iconic keynote. The story of Anne Cooper continued until the end of his speech as he highlighted the different successes she saw in her lifetime. He painted a picture of this woman and the last century by sharing a visualization of what the world around Anne looked like and the obstacles she faced throughout her life. In doing so, he took the audience on a journey. A journey through despair and a journey through hope. Finally, he makes it personal by asking: “If my daughters should be so lucky to live as long as Ann Nixon Cooper, what change will they see?” And in turn, inspires the audience to be a part of that very change. The audience isn’t there to look at your slides. Did Martin Luther King use slides to deliver his “I have a dream speech?” Did Obama use slides to deliver his victory speech in 2008? No, they didn’t need slides. In fact, Seth Godin has stated on many occasions that the best way to avoid a bad presentation is to forget your slides. Too many people focus on their slides and not their own stage presence. The audience is there to see and listen to the person on the stage. It’s important that you keep their focus on you. It may mean inserting a blank slide into your presentation so that the audience is forced to look at you. Steve Jobs often did this — again, drawing the audience’s attention to himself. Grand, theatrical and energetic, his performances made everyone in the stadium feel as if they were a part of the show. He made eye contact with attendees as often as possible and was constantly over the top with his interactions and gestures. Malcolm Gladwell coined and made famous the concept surrounding The 10,000 Hour Rule. Gladwell explains that it takes 10,000 hours to truly become great at something. Gladwell looks at the Beatles for example and states that John Lennon and Paul McCartney had been playing together for over seven years before they become “overnight” sensations in the US. You see unlike a typical high school band, the Beatles actually practiced and played together on a regular basis all around Europe. And unlike in America, the average set was running eight hours each instead of the typical one or two. In fact they used to take these trips to Hamburg, Germany and play seven days a week. Meaning, the Beatles played roughly 1,200 live performances they made it big, which as Gladwell points out, is more shows than most bands play in their entire career. They reached greatness they put in the work. When you’re developing a presentation, it’s not as easy as putting together a few slides and calling it a day. You need to review the flow of your story and ensure that you constructed an array of ideas that will be easily transferred from you to the audience. Steve Jobs spent hours rehearsing every facet of his presentations before keynotes. Sure, when you watch the YouTube videos of Steve Jobs delivering a keynote he makes it look effortless, but that skill comes after years and years of grueling practice. Compare his presentations from the 80’s with those of the early 2000’s and you will clearly see a difference in the polish of his delivery. Anyone can learn to deliver a presentation without flinching. But it takes time and effort. You need to be willing to practice and rehearse if you’re hoping to leave a lasting impression on your audience. Every time you take the stage you’re giving a group of people a chance to judge you. Ensure that what they see is worth watching and listening to. Remember that time is money. Your audience is giving you their time (possibly money) so you owe it to them to ensure that they get a return on their investment. Deliver a message that is captivating. Deliver a story that is memorable. Deliver a presentation worth delivering. Want more insights on levelling up in life and business? I’m writing a book about Entrepreneurship, the Hustle and how you can use it to start being your own boss and living the life of your dreams. I’ll be sending out an email before launch but in the meantime, I’ll be sharing insights like the post above and more to those who subscribe to my regular newsletter. Don’t worry, you won’t get spamed. Mark my words.